Now that the holidays are upon us, do not be surprised if our blog posts become few and far between. We have not forgotten about you, we are just spending time with our families. I feel very lucky that this year my husband and I get to share our daughter’s first Christmas with family. Not all military families are lucky enough to share the holidays with their spouse and children, much less their extended family back home. I saw this story that recognizes the sacrifice of military members and their families during the upcoming holiday season and just had to share with our readers. FedEx is expanding their support of the armed forces this holiday season by working with the USO and continuing their support of the Christmas SPIRIT Foundation’s Trees for Troops program. Marvin Hill, a FedEx employee and 35 year military veteran, said, “The holidays start with a tree.” Hill himself was a recipient of a tree while stationed abroad and said he loved the feeling he would get when the Christmas trees were delivered. 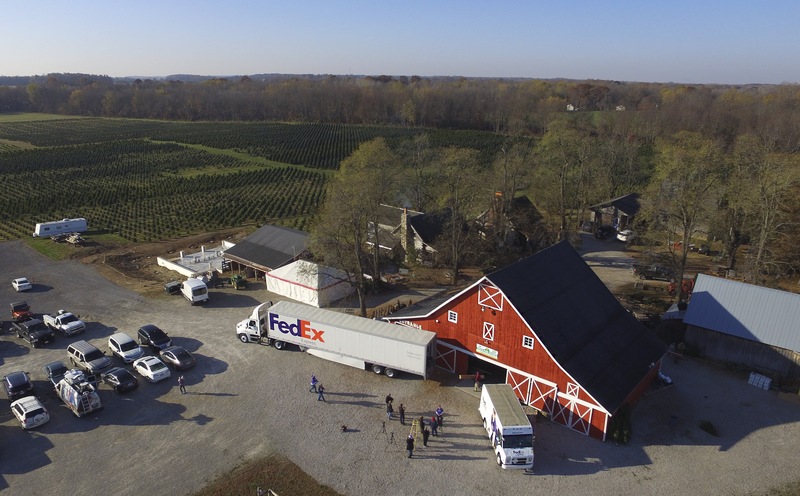 Since the Trees for Troops program launched in 2005, FedEx has shipped more than 176,000 real Christmas trees to service members and their families – covering every branch of the military at close to 65 bases in 17 countries. Trees for Troops kicked off in Indianapolis on Nov. 15 when real Christmas trees were loaded onto FedEx Express airplanes for overseas bases. Personalized holiday messages sent via Twitter and with #treesfortroops or #fedexcares were tied to each tree before they were sent to bases. Tomorrow MCAS Miramar, our home base, is distributing Christmas trees from this program. I hope these trees bring joy to the recipients and I wish everyone near and far a very merry Christmas!